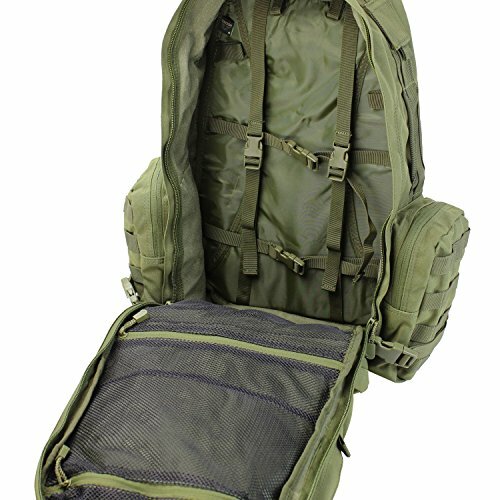 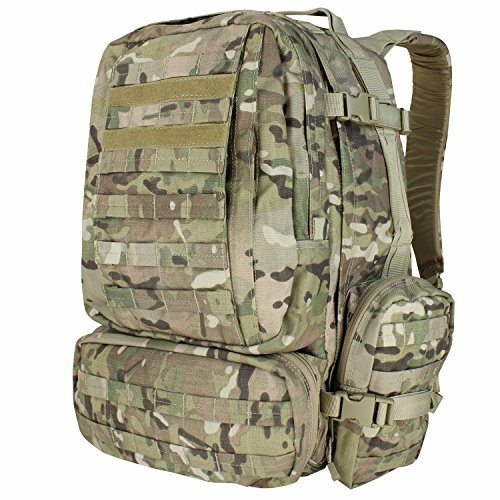 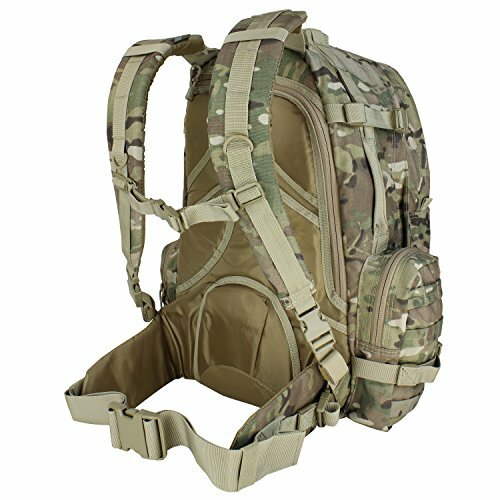 - Large load cargo capacity compartment with separate pocket to fit up to two 3L hydration bladders.- BOlive Draby contour shoulder straps with D-Ring for equipment attachment, sternum starp and waist belt.- External side compression straps. 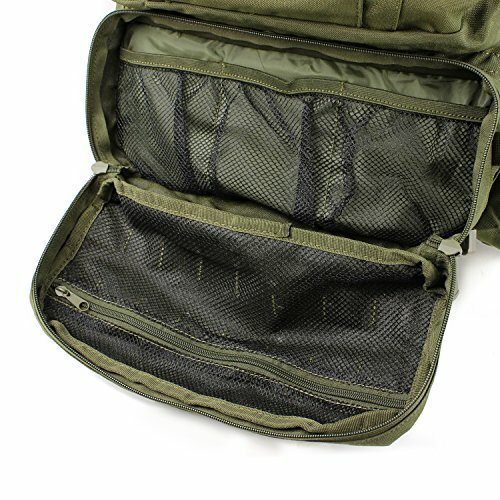 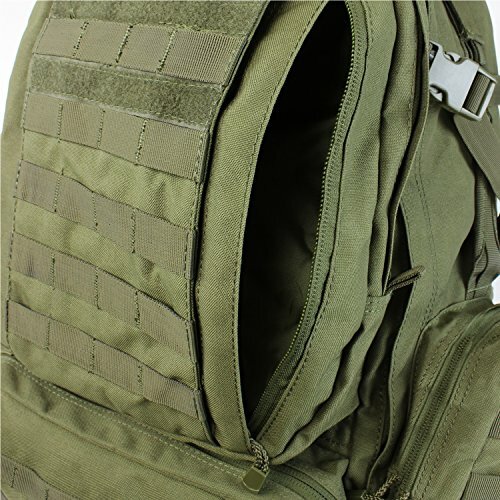 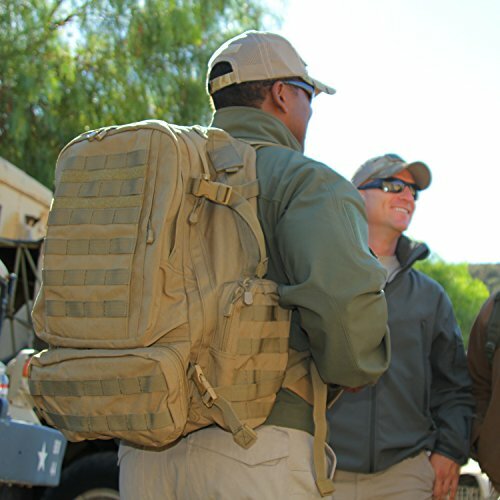 - Heavy-Duty carry and drag handle.- Two double zipper pulls on the main compartment for easy access.- Individual foam pad back panel for extra comfort and maximum airflow.- Grommets on all compartments for drainage.- Import Total of seven compartments:- Main Compartment with gear straps to secure gears and two extra mesh pockets.- Second Compartment contains three map/document pockets, two radio pockets, and penholders. 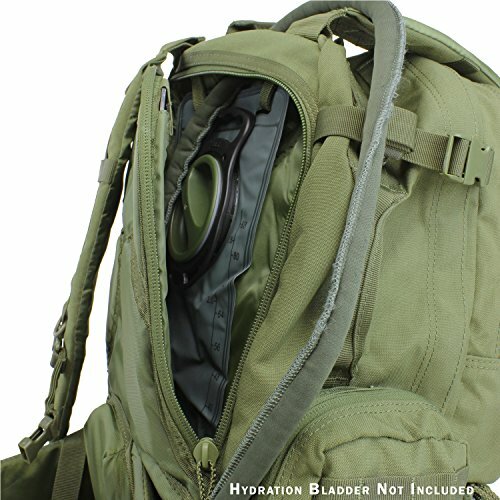 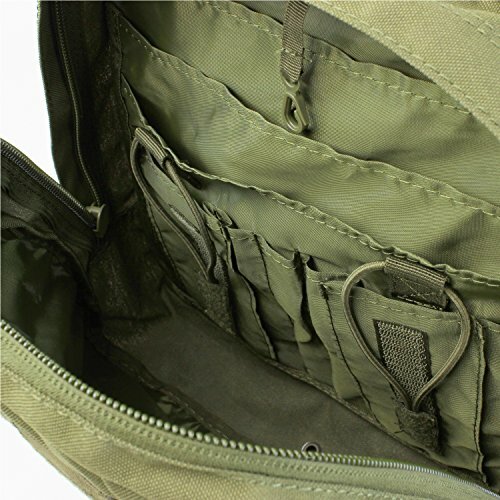 - Two large pockets on the back, bottom pocket (12.5" x 6" x 3") with three elastic closure mash pocket and a zipper mash pocket.- Two side pockets (9" x 5" x 2.5") one on each side.- One Compartment for hydration systems.